Community Health Workers | Akron Summit Community Action, Inc.
Community Health Workers (CHWs) provide outreach, health education, care coordination, and advocate for individuals of different ages and categories such as pregnant women. Find - Find and engage those at greatest risk. Comprehensively identify each of their risk factors. Treat - Each risk factor identified is assigned a specific Pathway. Pathways addressing health, behavioral health, and social service interventions are tracked simultaneously to ensure evidence-based and best practice interventions are received addressing each risk factor. Measure - As risk factors are addressed, the Pathways are completed and a reduction in risk is recorded. Enhance care quality by aiding communication between provider and patient to clarify cultural practices. Educate community members about how to use the health care and social service systems. Educate the health and social service systems about community needs and perspectives. Increase access to primary care through culturally competent outreach and enrollment strategies. Make referrals and coordinate services. Teach people the knowledge and skills needed to obtain care. Facilitate continuity of care by providing follow-up. Enroll clients into programs such as health insurance and public assistance. Link clients to and inform them of available community resources. Articulate and advocate needs of community and individuals to others. Be a spokesperson for clients when they are unable to speak for themselves. Involve participants in self and community advocacy. Map communities to help locate and support needed services. Promote wellness by providing culturally appropriate health information to clients and providers. Educate clients on disease prevention. Assist clients in self-management of chronic illnesses and medication adherence. Provide individual social and health care support. Organize and/or facilitate support groups. Refer and link to preventive services through health screenings and healthcare information. Build individual capacity to achieve wellness. Build community capacity by addressing social determinants of health. Identify individual and community needs. Mentor other CHWs – capacity building. Seek professional development (continuing education). To find out more about Community Health Workers go to Approved Community Health Worker Training Programs to see a list of training programs in Ohio. There are 20 Core Pathways that impact people’s health. Community Health Workers (CHWs) conducts a comprehensive risk assessment for each individual and each risk factor is translated into a Pathway. Individual progress is monitored for each Pathway and are closed upon successful completion. The five social determinants of health in the graphic below include: economic stability, education, social and community support, health and health care, and neighborhood environment. Pathways Community Action is certified nationally through the National Network of Certified Pathways Community HUBs and Rockville Institute. – Research for the Advancement of Social Science, and Pathways. In Ohio, other counties with certified HUBs are, Richland, Lucas Franklin, Hamilton, and Mahoning Counties. Nationally, other states include Michigan HUBs (Ingham, Muskegon, Saginaw), and New Mexico HUB (Albuquerque). In May 2017, CAAS Pathways HUB received Level I Certification for Pathways Community HUB through the Rockville Institute. Rockville Institute is the national certifying organization for Pathways Community HUB. CAAS is one of 10 Pathways Community HUBs with this national certification. The significance of this certification is that CAAS has not only met the required prerequisites and standards for model fidelity, but also positions CAAS to be eligible to contract with Medicaid Managed Care Organizations for reimbursement of services. The CAAS HUB launched in April 2016 and worked diligently to obtain certification designation in 13 months. 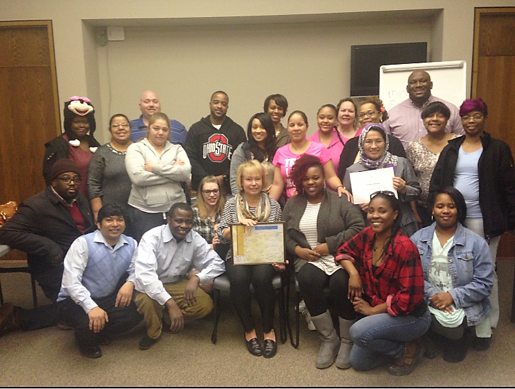 Pathways Community Action is one of 6 certified network of HUBs in Ohio. This Ohio network is the largest network of certified Pathways Community HUBs in the country. Here are the other HUBs in Ohio. Pathways HUB Community Action has partner agencies in the community which employ Community Health Workers who provide community care coordination. The CCAs vary in the agency size, function and services that they provide. Each CCA is committed to addressing all 20 pathways among the populations that they serve. The Care Coordination Agencies (CCAs) contracts with CAAS that allow CAAS to bill Medicaid Managed Care Organizations (MCOs) for services rendered by each CCA. Some of the payment points include completion of pathways, educational sessions, and checklist. The MCO contracts are a critical piece of the sustainability of the model in Summit County. We are a non-profit corporation dedicated to providing a wide range of comprehensive services to low-income residents of Summit County.